The end of summer is marked by mixed feelings. Come the end of summer, vacations may be coming to an end as children ready themselves for a new school year. But shoppers know the end of summer is an ideal time to find great deals on an array of items. Although back-to-school sales flood the marketplace this time of year, plenty of other sales take place in the final weeks of summer — and consumers can save substantial amounts of money if they know where to look. As stores clear out their seasonal items, shoppers can score big deals on patio sets and other outdoor furniture. Retailers need to make room for snowblowers, rakes, shovels, and holiday merchandise, so shoppers are bound to find discounted tables, chairs, fire pits, umbrellas, and chaise lounges. Individuals can use this opportunity to update worn-out patio furniture and other seasonal items they can store over the winter. Only the most devoted campers camp out when the temperatures begin to dip, so consumers can use this opportunity to grab camping equipment before it’s gone for another season. Tents, flashlights, cooking gear, backpacks, outdoor recreational items, such as kayaks or fishing tackle, water bladders, and heaters may be available at steep discounts. Backyard barbecues are a staple of summer. If your barbecue or outdoor cooking equipment experienced heavy use throughout the summer, now is a great time to shop sales on grills and outdoor cooking gear. Consumer Reports says that prices tend to drop on airfare, hotels and theme parks after Labor Day. Deals on luggage also can be had once summer travel season ends. Tuesdays are a great day to book airline tickets because they tend to be cheaper on Tuesday than other days of the week. Travelers can use this information to their advantage, booking trips to destinations that have super weather throughout the fall, such as Hawaii or the Mediterranean. Caribbean destinations also are good choices, though travelers should consider travel insurance to protect against hurricane-related cancellations. Many dealerships tend to begin discounting cars when new models begin to debut in August and September. The longer a dealership holds on to a vehicle, the more money it tends to lose. Prospective car buyers may be able to negotiate a good deal this time of year, ultimately walking away with a brand new vehicle with a solid warranty. 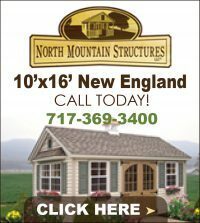 It’s not unheard of to receive a discount of 15 percent or more on previous year models. Many spas have begun discounting massages and facials at the end of summer, according to the International Spa Association. Shoppers can use this opportunity to try out new spas and save some money in the process. 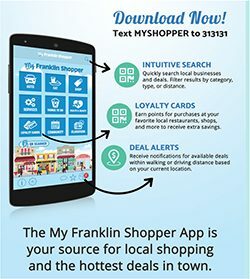 In addition to these discounts, bathing suits, summer clothing, lawn and garden equipment, and pool/spa items may be discounted come the fall. It may be chilly, but that’s no reason to stay indoors. Some of the best opportunities for outdoor exploration can only take place during the coldest months of the year; it just requires special preparation. For maximum safety and comfort, it’s important to keep your head, fingers and toes dry and toasty. A good pair of waterproof hiking boots will help keep you warm on the trail. Be sure they are designed for the type of weather and terrain you expect to encounter. Wear a wind-proof hat and good pair of gloves that have a grip. The sun may set sooner in winter, but it’s still a force to be reckoned with; wear sunglasses and apply sunscreen to exposed skin, as well as a lip balm containing SPF, to protect yourself from UV rays. Wearable tech can put your mind at ease on outdoor excursions. Look for low-power GPS and full-color map functionality that can be used offline, as in the case of Casio’s PRO TREK WSD-F20 Smart Outdoor Watch, which features easy-to-read map data from Mapbox. This makes it easy to display your route and provide navigation guidance at a glance. Powered by Android Wear 2.0, it can be used with a range of apps to enhance your outdoor experience, and its design offers enhanced operability and toughness, making it an especially useful piece of outdoor gear. In hot weather, there’s almost never any question about whether you are thirsty during or following physical activity. It can be harder to gauge in cold weather. Remember, when you’re active, it’s always important to stay hydrated. Be sure your wattle bottle is built to withstand cold weather, and if you’re worried about it freezing, don’t fill the bottle to the top. With any excursion, it’s always good practice to share your itinerary with a loved one. Most importantly, let someone know exactly where you are going and when you plan to return. September may enjoy the title of National Wilderness Month, but any time of year is a good time to enjoy the great outdoors. One of the ways to immerse oneself in nature is to enjoy a day hike or overnight backpacking excursion. Millions of people take to trails or create their own paths all across the world each and every year. Hiking is a great way to enjoy the beauty of nature, but it also has other benefits. The American Hiking Society notes that research has consistently shown that hiking as regular exercise can improve overall health and fitness. It also may lengthen and improve quality of life. Hiking as a form of low-impact walking can reduce risk for heart disease, hypertension, diabetes, obesity, and anxiety. Preparing for a hike involves packing accordingly for the trip. 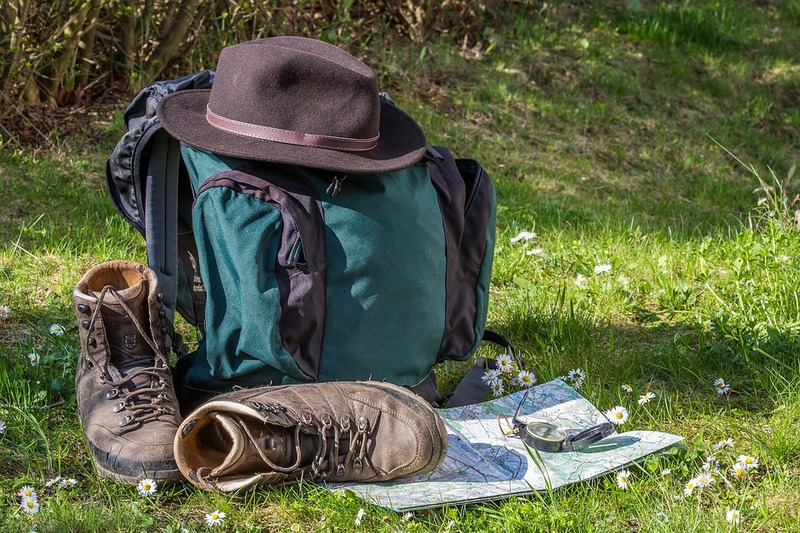 These items should be brought along on hiking trips to ensure such excursions are comfortable, safe and successful. 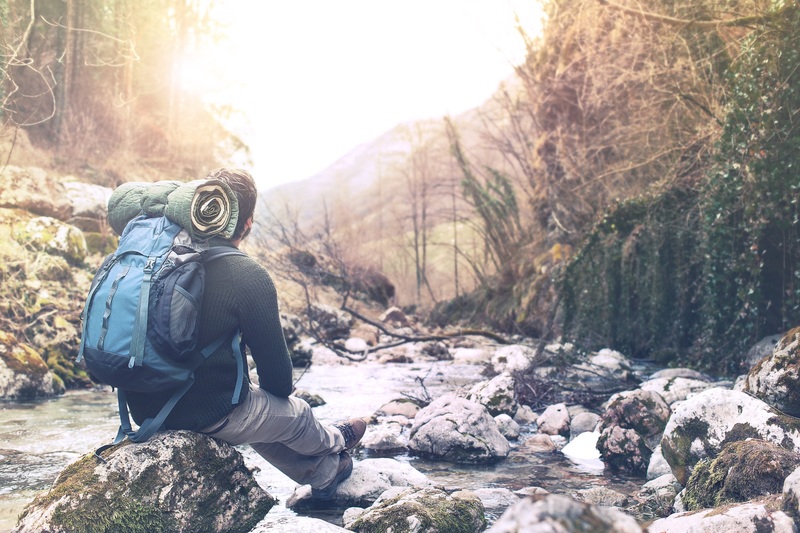 · Water: Bring along water whether you’re hiking in warm or cool temperatures. 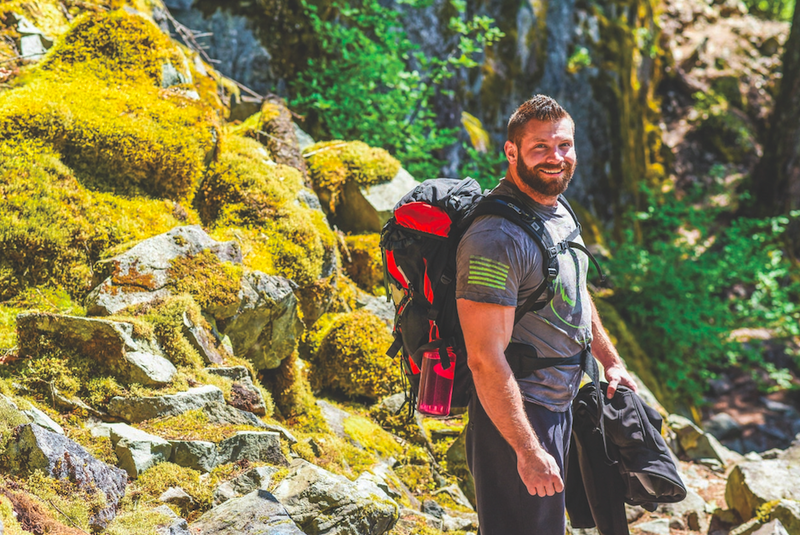 Water can be heavy, so some experienced hikers prefer to bring a filtration device or purifying tablets so they can rely on natural water sources for their drinks. · Proper footwear: Trail shoes may be adequate for shorter hikes or when you are not carrying much gear. Otherwise, opt for sturdy hiking boots with plenty of sole and ankle support. · Nutrition: Bring along lightweight food to keep you well fed. Any number of situations, including difficult trails and getting lost, can prolong hiking trips. Nutritious snacks can help hikers maintain their energy levels. · Rain gear/extra clothing: Dressing in layers and having a change of clothes enables you to adjust your attire according to the weather conditions. Wear water-repellant materials that wick away sweat. · Sun protection: Sun protection encompasses sunscreen, sunglasses and a hat. · Illumination: Pack a headlamp or flashlight, and don’t forget the batteries. Light will help you navigate if you are out after sundown. Flashlights also can be used to signal others if you’re lost. · Navigational tools: A compass and map will help keep you on course. Remember, cell phones may not work in remote areas. · Fire starter: A night spent in the wilderness may not be on the itinerary, but chemical fire starters, matches or even dryer lint can help start fires in emergency situations. · Multipurpose tool: A multipurpose tool can be used to cut items, open cans and much more. · First aid kit: Don’t forget a prepackaged first aid kit to treat minor or major injuries. Taking a first aid course is also helpful. · Toilet paper: When nature calls in nature, a roll of toilet paper can make things much easier. · Emergency shelter: Tarps, tents or even reflective blankets can be put to use if a day trip needs to be turned into an overnight stay. Hiking is a fun way to enjoy the wilderness. 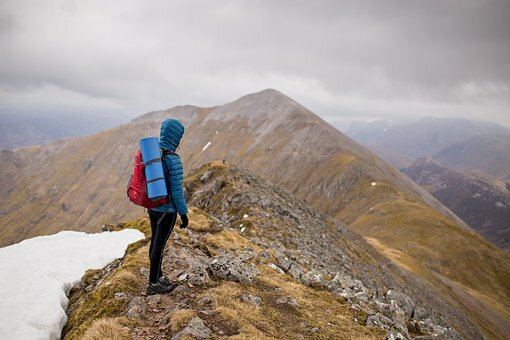 Hikers must pack accordingly for every trip.